I love this card Lucy! So Different! Love the colours and the buttons! Beautiful! 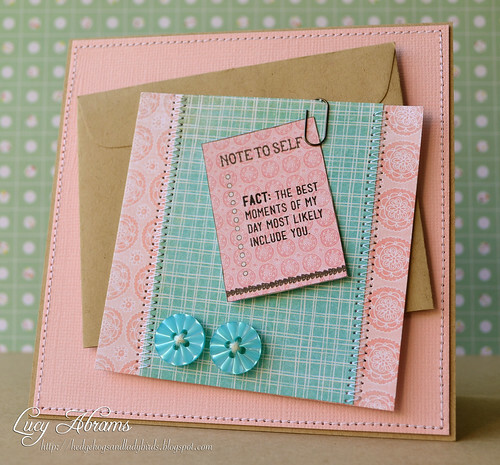 I love how you've combined these colours and those buttons are very pretty indeed! This is so pretty and yet a little bit towards the office look, Lucy! Love it! thanks for the inspiration!